Participating in both the 12k and 4k? 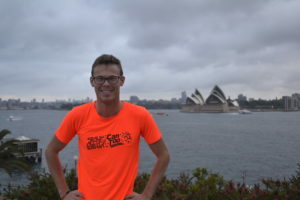 The first thing to keep in mind when building up from a 5km to a 12km distance is to not do it too quickly, says Can Too run coach James Constantine. “Walking or running 12kms is a patience game. Success comes from consistent exercise across a number of weeks/months, not cramming the night before,” says James. By completing a variety of different kinds of runs/walks – easy, long, intervals, Fartlek (speed play) which alternates between fast segments and slow jogs, hill repeats and tempo runs, your body will adapt to your new training load. And you will become fitter before you know it! Don’t worry about some of the above terms if you don’t understand them, your Can Too coach will explain what each type of run/walk is and how they will benefit you to help you conquer your 12Km NAB RunWest journey. I almost forgot the most important ingredients: a Can Too coach and your Can Too training partners, to support and encourage you along the way. Can Too is offering a special 10-week training program, the first session starts on Tuesday 22 January 2019, for up to 100 NAB RunWest participants of all abilities to show they CAN TOO complete the 12km distance by running or walking. The training program is delivered by professional coaches, twice a week, across greater Western Sydney including Baulkham Hills, Blacktown, Sydney Olympic Park and at Sydney Motorsports Park.